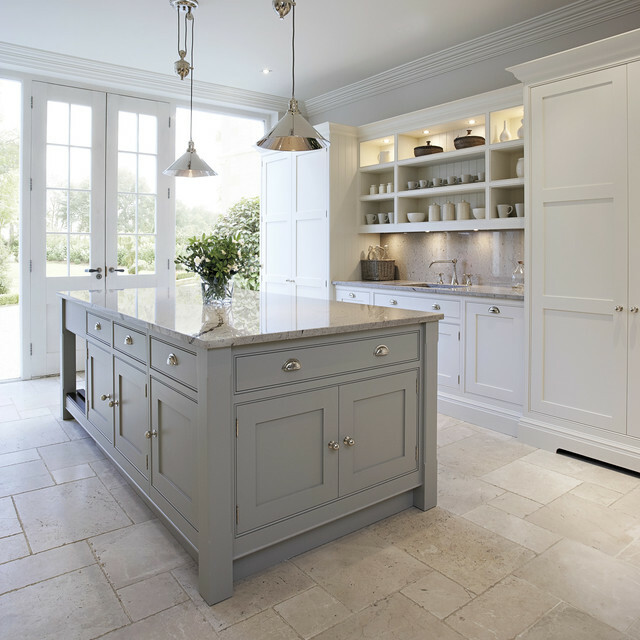 This bright and light shaker style kitchen is painted in bespoke Tom Howley paint colour; Chicory, the light Ivory Spice granite worktops and Mazzano Tumbled marble flooring create a heightened sense of space. Yes, ours is more industrial. No worries, hope there will be an opportunity to be at your service in the future. width of big cabinet doors and length of open space - Can you tell me the width of the big cabinet doors? I would also like to know the length of the open area with shelving. Beautiful kitchen!!!!!! Yes, I love the flooring too. Where is from? I'm wondering about the pendants and where Is can find them. They're beautiful! where can you buy this paint? Hi, we're sorry, all of our colours are bespoke to Tom Howley and are only available for kitchen clients. Please let us know if you have any more queries. Why would Houzz accept your design photo when your intentions are very much indignant to even the simplest requests such as paint color....unless you're in the neighborhood of extreme southern arkansas.....I'd say I'm out of luck. But now, even if you were near to my area, I'd still be out of luck because I'd never give you the business. You hold on to that good business sense you have going for you. This is our Hartford kitchen, the island is painted in our bespoke colour Chicory and the cabinetry is painted in Meadowsweet. Love the kitchen colors.. Can we purchase the paint or lacquer ?? can you please provide me with name of the kitchen two colors? size of back wall cabinet - Can you tell me the size of the tall cabinets as well as the center section? How wide and long is this island? Can you suggest alteration for one that is going to be 36 X 60, but still keep the "heft" and stylishness of this one? I absolutely love it. Island Paint color - What's the name of the grey paint called on the island? I love it! island - what is the color on the island base please!! Chicory by Tom howley is the island paint color. Are thir electric plug ins in the island? Islands are required to have electrical outlets by the NEC. Don't know how that passed inspection without. Hi, this island is situated in one of our showrooms and does not feature any live or 'working' appliances - this is a display kitchen only. Hi, unfortunately our paint colours are only available to Tom Howley clients, however I am sure that a local paint supplier in your area would be able to find a suitable colour match to the island colour. We hope this helps. can you please tell me the manufacturer of the granite counter? Hi, this worktop is available only to Tom Howley. Floor - What can you tell me about the floor? It almost looks like stone pavers. Is it tile over a slab? What color of paint, brand is on the island ?? Hi Anne, this is one of our bespoke Tom Howley paint colours called Marjoram. Information - Why post, if you're not going to share any information? I would love to know the cabinet colors. Hi, the island is painted in our bespoke paint colour Chicory, with the perimeter cabinetry painted in Meadowsweet. Countertop - What is the counter top? Hi, sorry for the delay in coming back to you on this. This worksurface is Ivory Spice Granite. 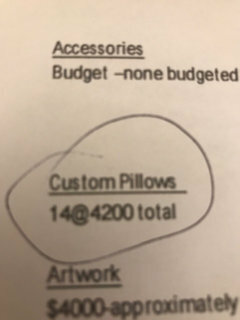 This pillows wore expensive I don't see anything special about them do you? Paint color - I'm trying to match this paint color. Any help please? We love the two shades of grey color here. It gives the sense of depth. Beautiful! Benjamin Moore Coventry gray HC-169 will give you this beautiful medium gray shade. 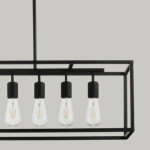 Lighting - The pendant lights are beautiful. Where can they be sourced? I only have 8' ceilings. Are pendants of any kind a good idea over the island if I have lots of recessed task oriented lights in my design? Thank you for your response in advance. What style would you suggest in a traditional style kitchen with only 8' ceilings. Hardware is brushed nickel and polished stainless. Thank you for your help. 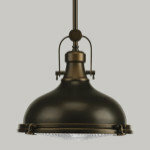 For a traditional style kitchen, I suggest either traditional or transitional style lighting. I focused on nickel and silver finishes to go with your hardware, but can definitely expand out to other finishes too if you would like. I want to unsubscribe from all emails, but can't get to account settings. I want to find account settings to unsubscribe to site !!!!! I love the floors! Do they make the tumbled arble as a countertop? You can get honed marble as a counter top. Floor tile - Beautiful! Do you have details for the floor tile that you could share? Thank you! what color/shade is tumbled marble? What is the pattern used? marble with wisp like veins casting a spider’s web across it’s surface. an aged appearance. Hope this helps. What color are the walls painted in your kitchen? Are the knobs and pulls chrome or brushed nickel. I am struggling with deciding what to put on my white Shaker cabinets, I have stainless steel appliances but a chrome sink faucet. Floor - Beautiful floor! What is it? love this floor! what kind of groute and seal are here? how protect the marble of dark spots? Thank you so much for your speedy response! I'm in the final stages of color choice, and your cabinets are just the tone I'm looking for. Have put aside F&B Pavilion Gray, but am biting my nails over the depth of tone. This kitchen is lovely, as is everything on your website! Wish you were in the states! That is a lovely shade of grey, good luck with your project. What's the cabinet color of the kitchen island ? - Can you please let me know what is the cabinet color of the kitchen island ? Tom Howley....Wow! That's all I have to say. Oh, and scrumptious. I LOVE your work! Love this kitchen. Would you be willing to share name/source of floor? Hello, sure the flooring is by Purestone flooring and they are based in the UK. We hope this helps! Would you be willing to share the paint colours? What countertop is this? Granite? Name? - Name of countertop? Hi, this worktop is Ivory Spice granite. Hi, you can source these lights by contacting http://www.pure-stone.co.uk/provence - we hope this helps. Hi, this flooring is Mazzano Tumbled marble, we cannot advise if this tile can be painted over. What color grey is the island painted? - What is the paint brand and color of the island cabinets? Hi, the island is painted is Tom Howley Chicory and the cabinetry is painted in Tom Howley Meadowsweet. what is the manufactor of the cabinets? - do you work anywhere near San Francisco or can you recommend someone who does? no MOQ, please kindly be noted. and check quotation for you. What is the paint color on the cabinet - What is the paint color on the cabinets? 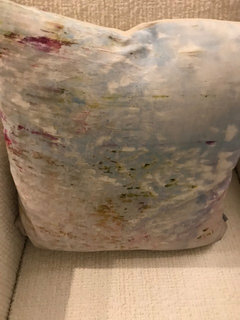 Is there any place in US that has Tom Holey paints ? Where are the pendants from? Hi, these pedant lights were sourced locally in the UK from a supplier called Lighthaus. Many thanks. Drawer pulls/knobs? - What brand is the hardware? Where can I find it? Hi, all of the fixings and fittings are sourced through an external supplier so we cannot provide the supplier name. Apologies that we cannot be of more help. Counter top - Can you tell me if this granite? Color? I love that light. Who is the manufacturer? Where can I buy it? Hi, these lights were from a lighting company called Lighthaus. We hope this helps. Thank you so much for your quick response. Unfortunately, they are no longer in business, FYI. Thanks again! Tiles - What is the name of floor tiles? Hi, the door handles and hinges are chrome. Am I the only one who can clearly see this drawer situation wouldn't w - The doors, OK you could have the same cabinet with doors an the front & side, but one of those drawers has to be a false. Quite sure that's the case. It would look pretty odd if they just left the end or each side blank, right? Beautiful kitchen! I have the same kitchen style & colors except all cabinets are the same color and I have wood floors due to our living room & kitchen being very open & close to each other. Wish I could have used travertine- it's beautiful in this kitchen! The floor tiles seems to be laid randomly? Am I right? Hi, yes they are laid randomly to add a 'little more' to the room. Many thanks. It is a Versailles type pattern. Beautiful kitchen - what are the dimensions of this kitchen? Hi, the island is 248cm x 123cm x 94cm (LxWxD) we hope this helps. Hi, this space is around 900mm. We hope this helps. Can you tell me the dimension of the back wall.. tall cabinets and center area. Thanks!! Hi, the lights in this image are from a UK lighting store called Lighthaus. Hi, these lights are from Lighthaus, Cheshire UK. We hope this helps. Hi, these are granite, the colour is Ivory Spice. We hope this helps. what is the backsplash tile? Hi, can we help with a query on this design? What material and color is the stone on the countertop island? Hi, the island is painted in Tom Howley Chicory. Hi, the island is painted in Tom Howley Chicory and the cabinetry is painted in Meadowsweet, both colours are exclusive to Tom Howley. what color is the pendant lighting? I love love the French doors!! 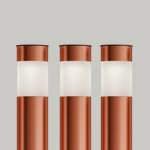 Hi, we love them too - they add so much light into the room! Island size - The length and width of island?? feet and inches would have been nice. Hi, these handles and knobs are available exclusively to Tom Howley. Gorgeous Island! - Color of island cabinetry? We love this island, the whole room is so light and bright. Hi Lori, thank you for your message. These are our bespoke Tom Howley polished chrome cup handles. Kindest regards, Jess. Hardware - What type of hardware is being used in this kitchen? Hi, thank you for your question. The hardware in this kitchen is bespoke to Tom Howley, the handles however are polished chrome. What type of mainenance is required with this floor material? Hi Grace, we would advise that you should use non-acidic cleaning detergents to maintain your flooring but would suggest that you always seek advise from your flooring manufacturer directly. We hope this helps. Faucet - Can you please share the manufacturer and model? Hi, the taps in this design are supplied by Perrin & Rowe. 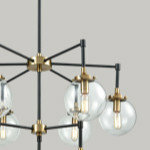 pendants and islands - I want 2 hanging pendant lights over my kitchen island BUT can they be real close to the ceiling? I don't have vaulted ceilings but the island is on wheels because it's a small kitchen and might need to move it. Once I move the island you need to be able to walk under lights. I don't know how to solve this problem. any ideas anyone? Hi, these lights would sit too low to walk underneath if the island was to be moved. Perhaps you need to look at some shorter lighting solutions that will still add something to your space? Sorry we cannot be more help with your query. Hello, do you have a particular question on this image maevemmcinerney as it appears some of your text has been cut off. Hope we can help with any queries you have. The gap under the cabinet - what is that space used for? This is lovely. Hello Pandamommium, which gap are you referring to on this image, we would be happy to assist with any specific questions you may have. Who made the island - I am looking for a similar island and would like details. Hi, Tom Howley are the designers and manufacturers for this island. What color and material is the countertops? Hi, the work surface here is Ivory Spice Granite. Hi, yes that would be no problem - if you can add in a mention to Tom Howley that would be perfect. 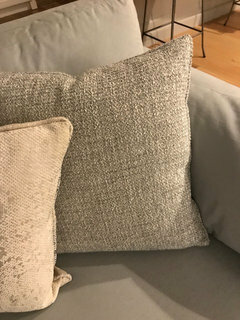 Gray color - You have the gray color exact name? Hi, this island is painted in our own paint colour Chicory. Hi, this is Ivory Spice Granite. who makes the floor tile and what color is it? Hi, this flooring is by Pure Stone flooring based in the UK and is Mazzano Tumbled finish. Cabinets - Where are the cabinets from? Hi, the cabinets are designed and manufacture by Tom Howley. Lights - Gorgeous! Where are the light fixtures from? Hi, I believe that you can purchase these lights via http://www.pure-stone.co.uk/provence - we hope this helps, they are even more beautiful in person! Hi, the island is painted in Tom Howley's own paint colour Chicory and the cabinetry in TH Meadowsweet. Cabinet color - Hi, can you tell me the color of the white cabinets please? Thanks ! Hi, these are painted in Tom Howley's bespoke paint colour Meadowsweet. Hi, the hardware is exclusive to clients who place a Tom Howley kitchen. What color are the walls in this kitchen? - Trying to figure out what color to paint walls when the tile is this color. Thanks! Hi, these walls are painted in Farrow and Ball All White. Can you provide details on the flooring? - Can you provide details on the flooring? Hi, the flooring in this kitchen is called 'Mazzano Tumbled' and it is a marble flooring. Hi, this colour is a bespoke paint colour by Tom Howley - 'Chicory'. Paint Color - What is the gray paint color? Hi, this island is painted in Tom Howley bespoke paint colour - 'Chicory'. Finish on cabinets/island? - What kind of finish is on the cabinets? It doesn't look very glossy — is it a matte finish? Island - What colour is the island? So hard to find a nice grey. We are doing light grey cabinets and a navy island but can't order until I find the perfect grey! Please help! Hi, this colour is a bespoke paint colour by Tom Howley - 'Chicory'. If you shared this image with your local paint supplier we are sure that they will be able to find a suitable match. Hi, the cabinet hardware is exclusive to Tom Howley. We are sure that you will be able to find alternatives in the market however these particular ones are provided by our supplier. What is this design style called? - What is this design style called? Hi, this kitchen is our ever-popular 'Hartford' design. We hope this helps. What is the proper name for the routing around cabinets / drawers? - The edging that makes the drawer / cabinet door look slightly larger than the opening. Hi, this is called a 'cott bead' and it is part of the framework of the cabinetry. We hope this helps. Hi, this flooring is Mazzano Tumbled marble. I can't shop - Hey, i want to buy some lamps to ship to florida but my billing address is from Colombia, how can i pay??? Hi Carolina, Tom Howley design and manufacture kitchens so unfortunately you cannot purchase any lighting or accessories direct from ourselves. Knobs - Can you tell us the mfr or where you got the ball shaped knobs? Hi, unfortunately all our fittings are available only via Tom Howley for our kitchen clients. Doors? - Who makes the doors? Hi, all cabinetry is manufactured in our Glossop, UK factory. Counter - What is the color and type of counter on island ? Hi, the island is painted in Tom Howley bespoke colour Chicory and the work surface is Ivory Spice granite. We hope this helps. Flooring - Love the light floors...what's the material? Hi, you can find more information on the kitchen design in this image under 'more info' - the flooring is marble and the finish is Mazzano Tumbled. We hope this helps. 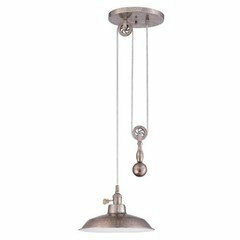 Pendant Lights - Hi - where are the pendant lights from? Hi Joe, sorry we couldn't be of more help on this query. We hope you can find an alternative! Hello . - May I know if you import from China ? Hi, no we manufacture all of our cabinetry at our workshop in Glossop, UK. love this look. is it one piece or cabinets & how many? Hi, thank you for your comment - we love this design also! The island has many cabinets and drawers, but we can design to suit your personal requirements. If you are interested in speaking to a designer then we would be more than happy to give you a call at a convenient time. Kitchen Reno - What is the paint colour of the island? Hi, you can find more information about this kitchen design under the 'more info' button. If you have any questions please do not hesitate to contact us. Hi, these pendant lights were purchased from a Cheshire, UK based lighting shop that have unfortunately since closed for business. We hope that you are able to find an alternative lighting solution. Regarding Cabinet Paint.. - When you say the paint is manufactured specifically for THK, does that mean it is not available to the public? Hi, all of our paint colours are available to clients that order a Tom Howley kitchen but not available as individual paint pots. Floor tile - What is the name/color/style of floor tile? Backsplash? Hi, the wall is painted in Tom Howley Meadowsweet to match the cabinetry. Many thanks. How do I know if my order went through? - How do I know if my order went through? I have not received an email. Hi, this island is painted in Tom Howley Chicory. What is the colour of the island and the walls, please. Hi, the island is painted in Tom Howley Chicory and the walls in Meadowsweet. its a nice share and your white kitchen looks very beautiful.. The colour combination is so beautiful . A beautiful kitchen adds a special feel in your home ..
What is the backsplash color? Hi, the splashback is the same as the work surface - Ivory Spice granite. Dining room wall. No sink. Doors on shelves. I love the style of these cabinets - very clean and simple. I also like the cabinet overlay on the appliances.